It's a boys life in another country and the things going on around him. But kids are kids where ever you go and that's the central point here. It was great to watch him grow up and for as much time as it covered, I think it did a good job of making us, as readers, feel in the loop. The Big Box of Trade Books arrived safely today; many thanks! The art-style on this one's a bit grotesque, but it looks amusing. 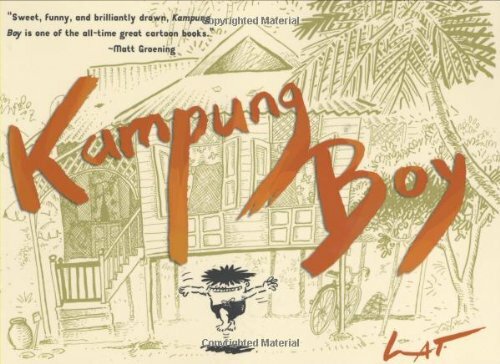 It's about a young Muslim boy growing up in Malaysia in the 1950s, in a rural location that gives him plenty of room to get into trouble. 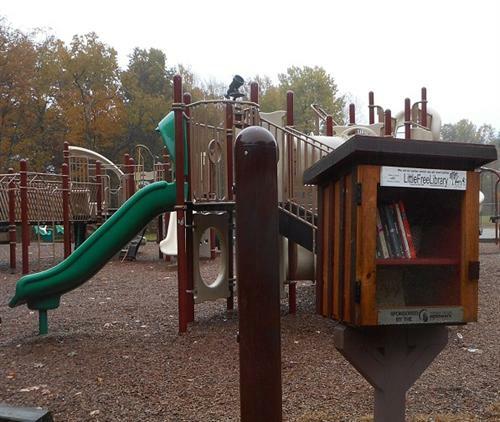 I left this book in the Little Free Library near the playground at Wasserman Park on this rainy day; hope someone enjoys it!